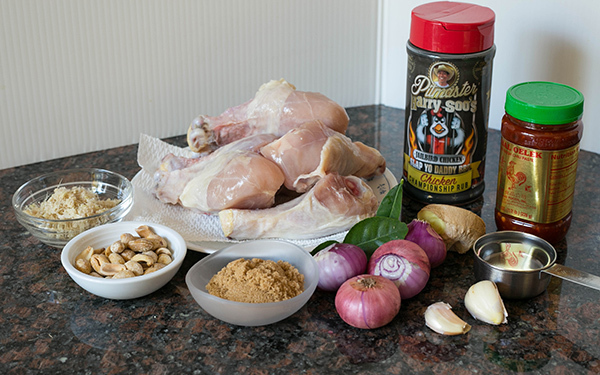 I’ve been asked to feature more recipes which showcase Asian-style cooking as I have fans around the world who have purchased my rub products. 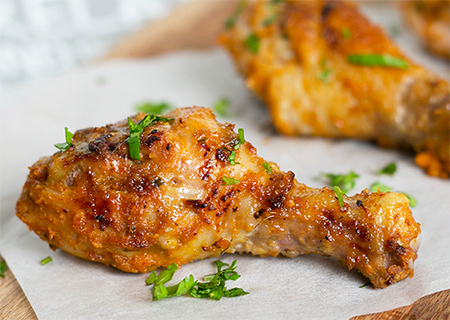 This delicious grilled chicken recipe uses an Indonesian-inspired spicy spice mix where shallots, chilies, and lemongrass bring fresh new flavor to the classic American barbecued chicken. I added a Thai twist with the kaffir lime leaf (you can use lime zest as a substitute) as I love the unique citrus aroma that the kaffir leaf adds to grilled chicken. 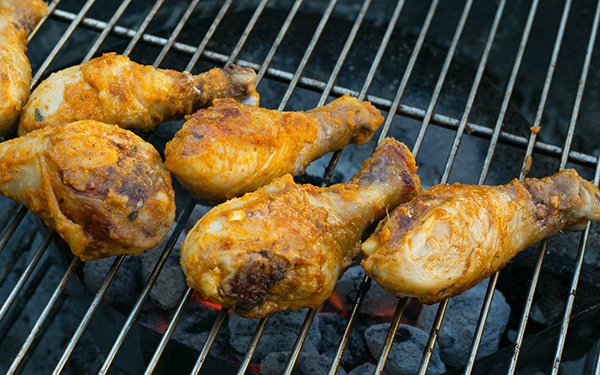 So the next time you fire up your grill for a party or tailgate, try this aromatic chicken marinated in a curry-like spice paste. Pulse the spice ingredients in a food processor. 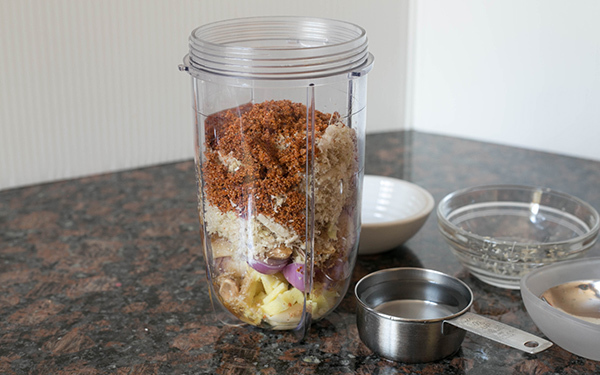 If the blades of your food processor drag because there is not enough liquid, add 1-2 tablespoons coconut milk or water to keep the blades spinning. The spice mix should have a smooth paste consistency. NOTE, if you don’t have peanuts, any nuts you have are good. The traditional Asian technique is to use candlenuts as a thickening agent for sauces and curries. I’ve also used macadamia nuts or walnuts in the past. The idea is to use the oil in the nuts to add unctuousness to Asian sauces. Pour most of the spice mix all over chicken. Be sure the sauce covers the chicken. 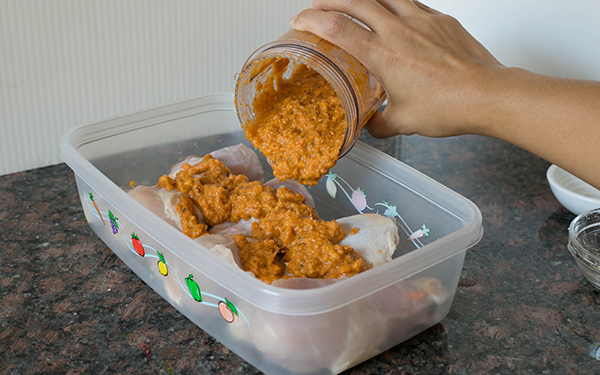 Marinade in fridge for 30 minutes or overnight. Save a bit of the spice mix to cook into a sauce to brush on later. Bake or grill until internal is 160F. Garnish with some chopped parsley. Note: you can serve with some Garlic Jasmine rice (in a rice cooker put 2 cups rice, 2 ½ cups water, 3 tablespoons minced garlic sautéed in canola oil, 1 teaspoon salt). I usually have my garlic oil mixture in a plastic bottle in my fridge. If not, you can sauté minced garlic before adding it to the rice cooker. 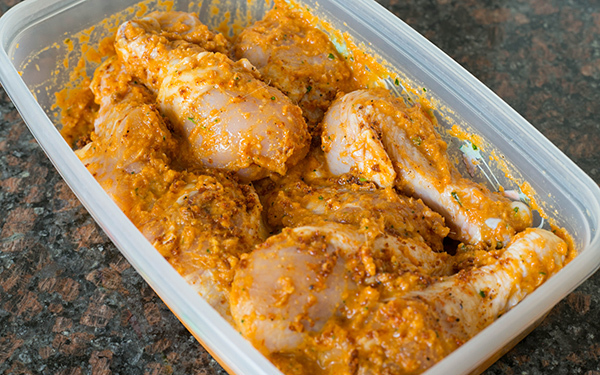 That marinade looks AMAZING. I definitely have to try it – I think it would work really well with fish too! Sorry for the typo which I’ll fix shortly. I apply a medium-light coat of SYD rub. How much is that? 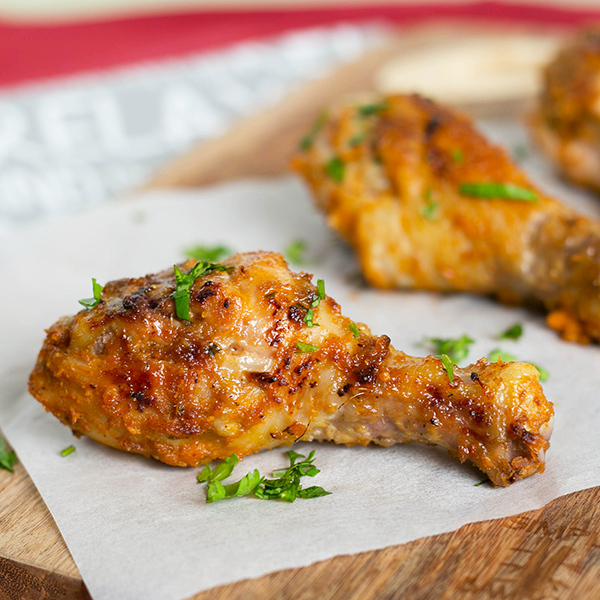 It’s about 1 1/2 tablespoons for two drumsticks. You apply it until the chicken is almost opaque and you can’t see the skin anymore.